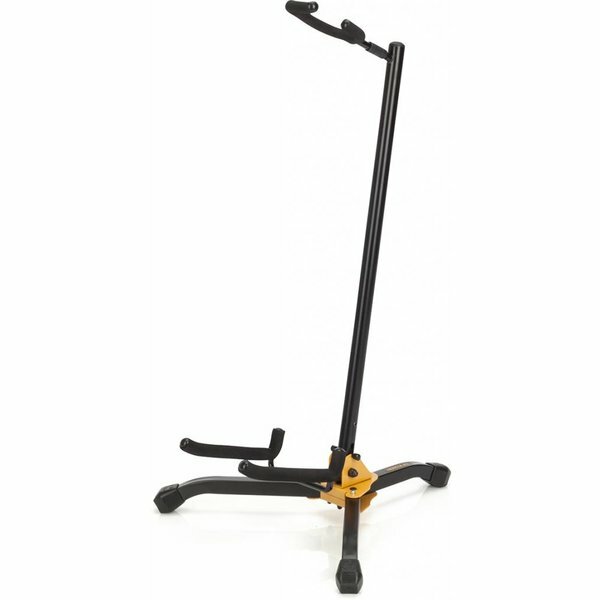 The Hercules GS405B Guitar stand features a shock-absorbing system. 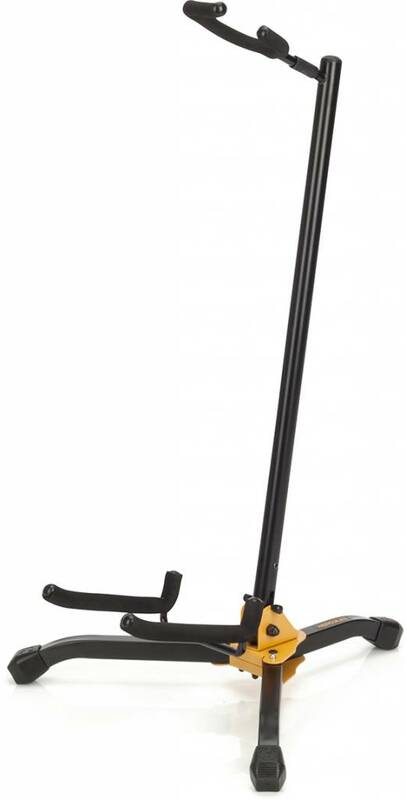 Both the yoke and cradle offer security and flexibility to guard against any unforeseen bumps on stage. - One-piece design has no loose parts and is easy to setup and tear down.